Sri Maitresa Sharma was a 28 Years old Sadhu from Banauli, Bihar. 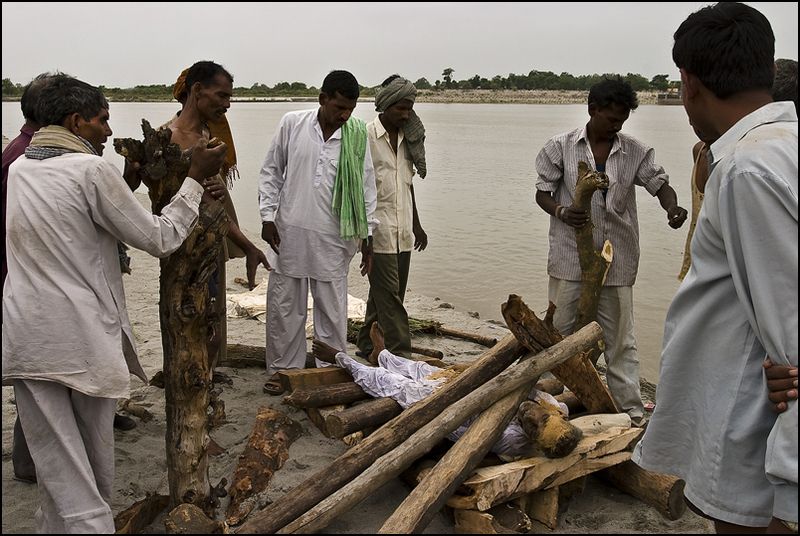 When he died, his brother decided he would come to Sonepur to do the ceremonial and throw the body in the Gandak river on Kartik Purnima day, as a Sadhu can't be cremated. 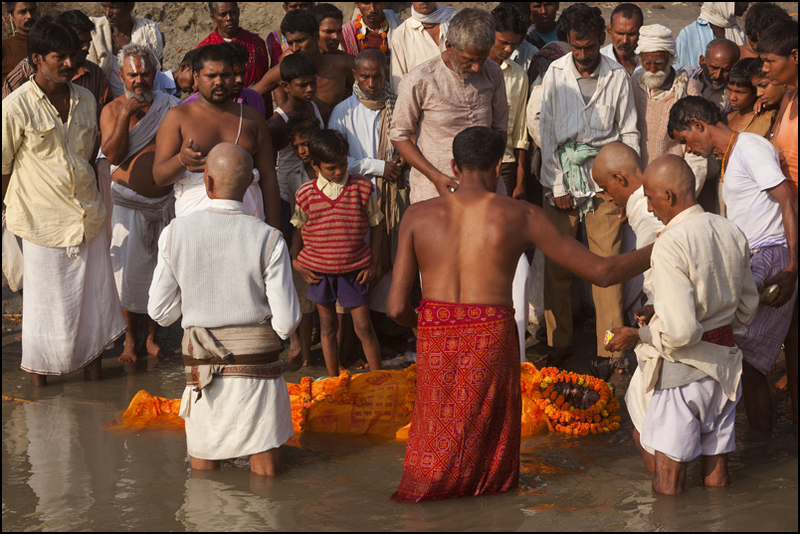 Ceremonial of Sri Mitresa Sharma's funeral , a 28 years old sadhu from Banauli, Bihar. Sri Maitresa Sharma was a 28 years old Sadhu from Banauli, Bihar. 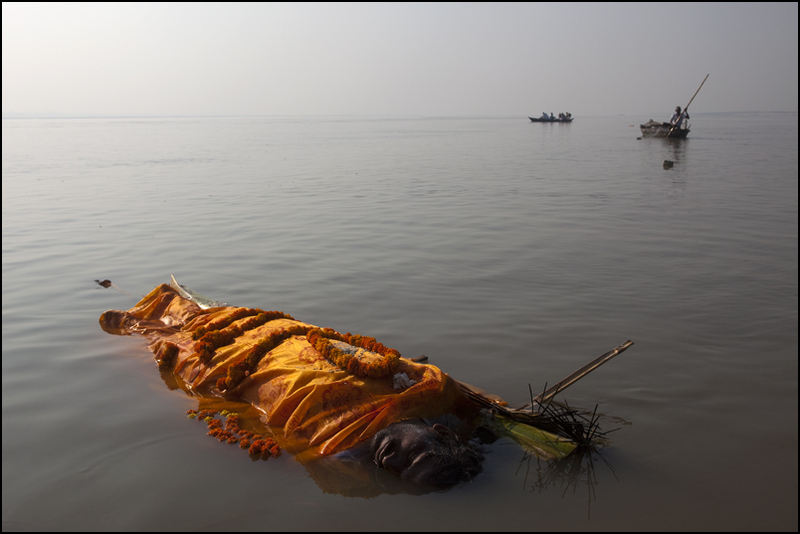 When he died, his brother decided he would come to Sonepur to do the ceremony and throw the body in the Gandak river on Kartik Purnima day, as a Sadhu can't be cremated. We drove the body in the middle of the river before letting him go. 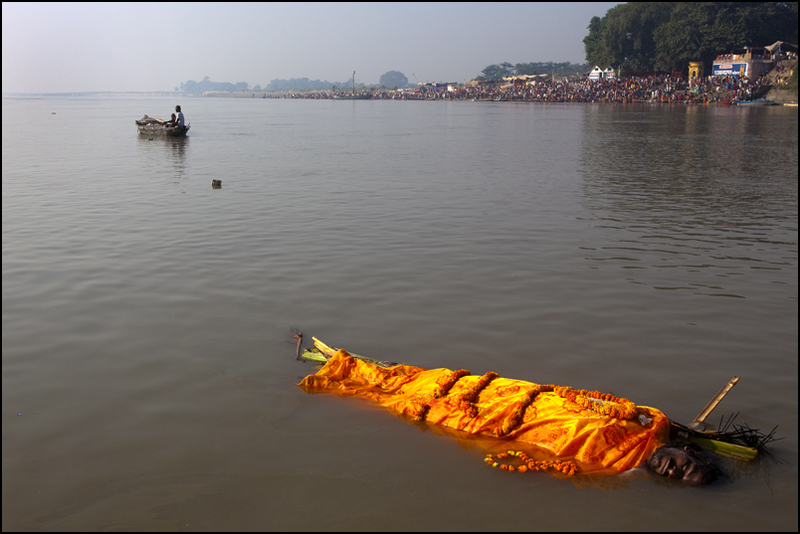 In the background, a fisherman and the Holy Ganga.